Angel Island Adventure Race, 9am-2pm, Get ready to sweat on this hilly course and experience the island's breathtaking scenery and panoramic vistas! Blossoms, Bees & Barnyard Babies, 10am-4pm, Sonoma County farms are abundant with seedlings and barnyard babies. Pack up the family and head out to the farm to celebrate Spring and see what's flowering! Tour your way through Sonoma County and visit farms of your choice. Activities include farm tours, demonstrations, animal petting, games and crafts for kids, tastings, cooking demos, flower arranging, and more. Many stops will offer snacks, lunches and epic picnic sites. Farm stands will be open for fresh-from-the-source purchases. Independent Bookstore Day 2016, 10:30am-3pm, all-ages, puppy adoptions, face painting, crafts, raffle, author appearances, live music, and more! Book Passage, Corte Madera & Ferry Building. Creative Family Fun - Japanese Carp Kites, 11am-4pm, Presidio Officer's Club, San Francisco. Songs and Stories with Megan, 11:30am, Book Passage, Corte Madera. Garden Faire, 12-4pm, crafts, games, music, food and more! Edna Maguire Elementary, Mill Valley. Mother’s Day Make and Take, 12 – 2pm, build a beautiful flower press, RSVP: Contact Ranger Jason Olivetti, Stafford Lake Park, Novato. How Weird Street Faire, 12-8pm, gather to celebrate peace, dance in the streets, be inspired by art, make new friends and greet old ones, and appreciate each other’s differences at the most diverse gathering this planet has ever seen, Howard & 2nd Streets, San Francisco. There will be loud music, earphones are recommended for young children. Sunday Streets, Bayview/Dogpatch, San Francisco. Yerba Buena Garden Festival, 1-2:30pm, Pedrito Martinez Group Featuring Issac Delgado, San Francisco. Circus Oddity, 3pm, Circus Center's Youth Circus pays tribute to David Bowie, 755 Frederick Street, San Francisco. William Kent Society 5th Annual Family Campfire, 4-7pm, Lumberjack BBQ & Kid and Adult Beverages, S’more Making, Dad and Kid Bands, Earn your Junior Ranger Badge with activites like Wood Fort Building, Log Splitting/Jumping/Branding, Archery, Henna, Wood Krafts, Forest Kreatures and more! Purchase tickets on website. Presidio, San Francisco. The Music Man, The Playhouse, San Anselmo. Bay Area Storytelling Festival, Orinda Community Center, Richmond. Rickshaw Girl, 11am & 2pm, ages 6+, San Francisco. The Little Mermaid, Young Performers Theater, Fort Mason, San Francisco. Disney's The Little Mermaid, Spreckels Performing Arts Center, Codding Theater, Rohnert Park. Teen Animation Festival International, Walt Disney Museum, San Francisco. Film of the Month, Pinocchio, every Mon, Wed, Thurs, Fri, 1:30pm & 4pm, The Walt Disney Museum, San Francisco. Children's Day Family Workshop, 2-3pm, learn about the Japanese National Holiday Kodomo No Hi (Children’s Day). Get your hands sticky as you create and eat your own Sakura Mochi. View the Japanese Doll exhibit that features over 100 dolls. Let your creative side shine though as you create your very own koi no bori origami as well, RSVP required, Japanese Cultural and Community Center of Northern California, San Francisco. Builder's Club, 2-4pm, age 5+, San Rafael Library. Star Wars: The Force Awakens, 3pm, Sausalito Library. "Star Wars Day - May the 4th Be With You" X-Wing Learn-to-Play Event, 7pm, Barnes & Noble, Corte Madera. Weird Science Thursdays, 3:30-4:30pm, explore the physical and natural pieces that make up our world with fun "hands-on" science activitie, Point Reyes Library. Board Game & Pizza Night, 6-8pm, ages 5+, Belvedere Tiburon Library. Creativity Talks, 6:30pm, “The Mindset Revolution: Teaching Mathematics for a Growth Mindset” with Dr. Jo Boaler, Bay Area Discovery Museum. Cinco De Mayo Celebration, 4–6pm, Free, Live Oak Social Hall, Berkeley. Free Saturday Morning Yoga, 9-10am, Old Mill Park, Mill Valley. Fiddler on the Roof, The Playhouse, San Anselmo. Family Film Night, 6pm, The Good Dinosaur, free popcorn and It's It's, Presidio, San Francisco. Circus Oddity, 7:30pm, Circus Center's Youth Circus pays tribute to David Bowie, 755 Frederick Street, San Francisco. Angry Birds Bird House, 9am-12pm, Home Depot. Petaluma Kid! Gran Fondo, 9am. Hike for Girls, 9:30am, easy 3-mile roundtrip hike open to all everyone (including kids in sturdy strollers and pets), Tilden Park, Berkeley. Yoga in the Park, 10am – 2pm, begin with volunteer work to spruce up, then we’ll follow with a 45 minute Yoga class, enjoy a delicious, free lunch provided by Mi Pueblo. McNears Beach Park, San Rafael. Opera in an Hour Movie Festival, 10am, ages 5+, The Magic Flute for families movie screening, Taube Atrium Theater, San Francisco. Cinco De Mayo Celebration, 10am-6pm, Dolores Park, San Francisco. Community May Day Celebration, 11am-2pm, historic artifacts, maypole dancing, live music and more, Kent Middle School. Mother's Day Craft of Children, 11am-1pm, urprise mom with a freshly potted plant in a pot you planted yourself. Fairfax Library. STEAM Saturday: Building with the Three Little Pigs, 11-11:45am, ages 3-6, San Rafael Library. Read to a Dog, 11am-12pm, South Novato Library. Children’s Day Festival, 11am-4pm, Participate in cultural arts and crafts, bounce house, games and watch taiko, youth singing, kendo, and much more! Japantown. Mother's Day Art in the Park, 11am – 1pm, make something special for mom! Work with rangers to create your own piece of art to give to your mom on Mother's Day, McNears Beach Park, San Rafael. Moms & Nature, 11am-12:30pm, What's better than a giving the gift of nature and relaxation? Let's celebrate more than one mother: Mother Nature and you, your mother, or mother figure by stretching and strolling around the Headlands with one of our naturalists. Creative Family Fun - Fabulous Forest Frames, 11am-4pm, Presidio Officer's Club, San Francisco. Opera in an Hour Movie Festival, 11:30am, Exploration Workshop: Introduction to Opera, Bryan Education Studio, San Francisco. Opera in an Hour Movie Festival, 1pm, ages 10+, Carmen for families movie screening, Taube Atrium Theater, San Francisco. Taste of Town Center, 12-2pm, live music, face painting, free samples. and more, The Town Center, Corte Madera. Junior Ranger Jamboree, 12-3pm, entertainment, refreshments, and hands-on activities and games, while learning a Junior Ranger’s duty to “Explore, Learn & Protect.” Gather ’round the campfire, roast some s’mores, and sing “Happy Birthday” to our national parks, Crissy Field, San Francisco. Yerba Buena Garden Festival, 1-3pm, Elephantine + the Seshen, San Francisco. Healthy Parks, Healthy People Walks, 2-4pm, FREE Guided Walks, Mill Valley Community Center. Flora & Fauna Tea Party (Mother Daughter Tea), 3pm, Corte Madera Community Center. Sea Chantey Sing Along Aboard Historic Ship, 8pm, sing-along of sea chanteys and sailor songs aboard a historic ship at San Francisco Maritime National Historical Park. Astronomy Night: Aquarids Meteor Shower, 8 – 10pm, Bring the whole family out for an evening under the stars on Mount Burdell. Look at the planets and night sky through a telescope, or bring a blanket to sit on and enjoy the view. The star of the show will be the Eta Aquarids Meteor Shower, bring binoculars or a telescope, flashlight, blankets, water, snacks, and star charts. Meet at the gate on San Andreas Dr in Novato. West Point Inn, yummy Mother's Day pancake breakfast! Mother’s Day Picnic at Audubon Canyon Ranch. Marine Science Sunday, 10am-5pm, Back from the Brink: Saving Species, Marine Mammal Center, Sausalito. Opera in an Hour Movie Festival, 10am, ages 5+, The Barber of Seville for families movie screening, Taube Atrium Theater, San Francisco. Y Bike, 11am-2pm, Get your kids riding on two wheels with help from the Y's awesome instructors! They provide bikes and equipment - just bring your game face (ideally a big, toothy grin) and a little determination, Main Parade Grounds, San Francisco. Opera in an Hour Movie Festival, 1pm, ages 8+, Girl of the Golden West for families movie screening, Taube Atrium Theater, San Francisco. Yerba Buena Garden Festival, 1-2pm, Slow Research Lab, San Francisco. SFMade, a week-long celebration of San Francisco’s vibrant manufacturing sector: discover locally made products, the people who make them, and where to buy them. Drawing Fish, 10-11:30am, with John Muir Laws, This class will prepare you for sketching from live specimens in your fish tank or at an aquarium. No experience necessary, and no advanced registration required. Bring a sketchbook and pencil to take notes. Richardson Bay Audubon Center & Sanctuary, Tiburon. Brick Building Club, 3-4:30pm, Sausalito Library. Family History Project, 10:30-11:30am, Children delve into their individual family story by recording their family’s history, unique traditions, language and experiences, Bay Area Discovery Museum. Kids' Pajama Party with Bob Barner, 6-7pm, reads from his book 'Sea Bones', Diesel, a Bookstore, Larkspur. Festival of Fun, 10am-9pm, Carnival Rides, Games, Music, BBQ, St. Anselm School, San Anselmo. Junior Chef Class, 10am, ages 8-13, We Love Tacos, Williams-Sonoma, The Village at Corte Madera. Living History Day, 10 a.m. to 5 p.m. Petaluma Adobe State Historic Park. 3325 Adobe Road. Crabbing at Fort Baker Pier, 10am-12pm, RSVP required. Read to a Dog, 11am-12pm, San Rafael Library. Creative Family Fun - Egg-citing Critters, 11am-4pm, Presidio Officer's Club, San Francisco. Yerba Buena Garden Festival, 12-5:30pm, Con Brio + Duniya Dance & Drum Company + Black Orpheus, San Francisco. Tour of Novato and Community Fair, a bicycling and walking fundraising event for the Novato public schools, Sherman Avenue in front of the Novato City Hall. Astronomy Nights on Mt. Tamalpias, 8:30pm, with Dr. Chris McKay, NASA’s new program, “Ocean Worlds,” focuses on the many oceans in the moons of the outer Solar System. Enceladus, Europa, and Titan are of particular interest. Where do we look, and how do we search for evidence of life? Maifest, 9am-3pm, SOLD OUT, Tourist Club, Mill Valley. Beginning Birding, 9:30-11:30am, ages 8+, Rodeo Lagoon, Sausalito. Mystery of the White Hill, 10am – 3pm, hike with Ranger Mike Warner to find the crash site of the B-17 Flying Fortress, a bomber aircraft from World War II. We’ll discuss the history, context, and mystery surrounding the site. Moderate to strenuous. Meet at the roadside parking area near the top of White Hill Grade on Sir Francis Drake Blvd. Magician Brian Scott, 11-11:45am, Mill Valley Library. Aeolian Day, 11am, green lawn, the summer sun and the sea breeze to kick off a unique celebration of the sound of the wind, Jack London Square, Oakland. Just Dance Academy Spring Performance, 2pm, Marin Civic Center. Story time at Boyd Memorial Park, 10:30-11am, literacy, movement, story, and song for a fun and enriching experience under the beautiful San Rafael trees by the San Rafael Library. Read to a Dog, 3-4pm, Belvedere Tiburon Library. Fire and Ice! Mad Science of Mt. Diablo, 4pm, ages 5+, foggy dry ice storms, taste a special Mad Science “burp” potion. Kids will be amazed by sizzling, shivering scissors and special bubbly showers, Belvedere Tiburon Library. Yerba Buena Garden Festival, 1-2pm, Bethoven in the City, San Francisco. Bay Area Homeschool Fair, 4pm, Golden Gate Learning Center, San Anselmo. Yerba Buena Garden Festival, 6-7:30pm, Orquesta La Moderna Tradición, San Francisco. Recycled Book Boxes, 2-3, 6-8 grade, San Rafael Library. Sweet Charity, Throckmorton Theatre, Mill Valley. Free Family Bike Safety Ride, 10am-12pm, Tam Valley Community Center, Mill Valley. 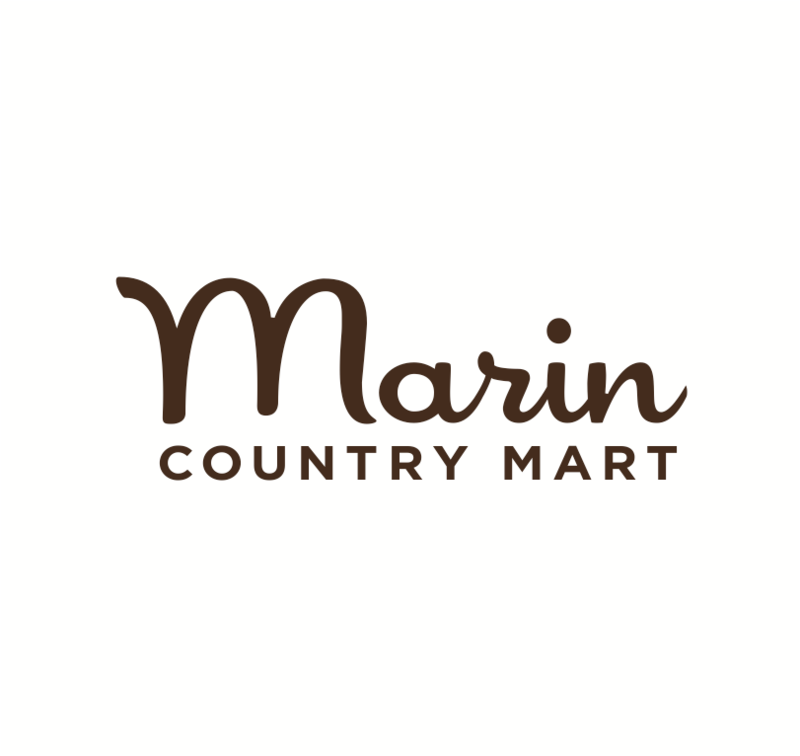 Marcello Walk, 10am-12pm, Marin Headlands. Creative Family Fun - Signal Flags, 11am-4pm, Presidio Officer's Club, San Francisco. Daniel Handler, Marcus Shelby & Friends, 11am, SFJAZZ Center, San Francisco. Asian Heritage Street Celebration, 11am-6pm, UN Plaza, San Francisco. Kid's LEGO Club, 1-2pm, Belvedere Tiburon Library. Yerba Buena Garden Festival, 1-2:30pm, Legends of the Celtic Harp, San Francisco. Double Victory, 1-2pm, traditional Okinawan musicians and dancers, Fort Point, San Francisco. Full Moon Adventure at Indian Tree, 7:30 – 9pm, experience this unique preserve after dark. We’ll discuss nocturnal animals and things that go bump in the night! Don’t forget to bring a flashlight, meet at the trailhead on Vineyard Rd in Novato. Family Gala: Make + Believe, Bay Area Discovery Museum. Mill Valley History Walk, Walk on the Sunnyside, Boyle Park, Buena Vista, The Outdoor Art Club, Mill Valley. Rickshaw Girl, 11am, ages 6+, San Francisco. Charlotte's Country Fair, 3-6pm, Mill Valley Community Center. Catapalooza, festival is free, feature cat-centric activities, kitten corner, a Purr-veyors market; kids zone, music, food and beer garden, Meet Lil BUB (tix on sale now), Marin Humane Society. American Crown Circus, 6:30pm, St. Vincent's Grounds, San Rafael. Yerba Buena Garden Festival, 12-1:30pm, Inspector Gadje, San Francisco. Drop In Game Day, 3:30-6pm, South Novato Library. Inventors Workshop: Roller Coaster Engineering with The Lawrence Hall of Science, 6-7pm, age 5+, design and make a table-top marble roller coaster, San Rafael Library. Marin Greek Festival, Nativity of Christ Greek Orthodox Christian Church, 1110 Highland Drive, Novato; 883-1998. Creative Family Fun - Memorial Day Poppies, 11am-4pm, Presidio Officer's Club, San Francisco. American Crown Circus, 1:30pm, 4pm & 6:30pm, St. Vincent's Grounds, San Rafael. Come to Your Senses at Crissy Field, 2-4pm, Come experience sites sounds, smells, and flavors of Crissy fields on a one-mile easy walk at the Crissy Marsh. Look for crabs, taste strawberry treats; listen to legends, smell a sea shore habitat; touch and play on the sands of Crissy field under the cypress trees. Muir Beach Firemen's BBQ, 12-5pm, dancing, food, and fun for the whole family, Santos Meadow on Muir Road. Poolside Jam: Francesca Lee, 2:30pm, Strawberry Rec Center, Mill Valley. Nature for Kids: Indian Tree, 10am – 1pm, We’ll head up the hill and visit several different forest habitats, we’ll talk about these different habitats and the different types of plants and animals that live in each place, bring lunch. American Crown Circus, 1:30pm & 4pm, St. Vincent's Grounds, San Rafael.